Nick & Keith go way back & they’ve always kept it simple. They set out to open Olde Mother Brewing with the same simplicity in mind; brew good beer, make good friends, and convince a community to join them in their journey to build a beer brand. Home brewing was a passion for them for many years and after the duo reunited after 17 years, the business plan for Olde Mother Brewing began. Almost 3 years later, a grass roots brand was born and it’s been a helluva ride so far. We are proud to offer you the finest craft beer in Frederick and stand behind our beer & brand. 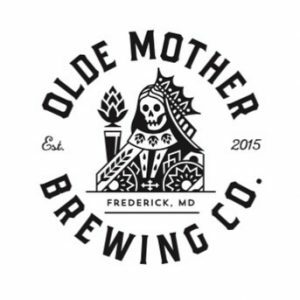 Olde Mother Brewing is a craft brewery located in historic downtown Frederick, MD. We opened our doors October 31st, 2015 & have recently moved into a larger production facility & tasting room. Thanks to the craft beer drinkers that have visited our small town & brewery, we quickly outgrew our custom built 55 gallon brewing system. We have upgraded to a 10 barrel brewhouse that will allow us to better meet the beer demands of our tasting room, distribution, & eventually canning. When visiting our brewery, you can expect many typical craft beers but be prepared for a few twists and unique flavor profiles; Keith & Nick do not shy away from experimenting with unique flavor combinations. We could not have come this far without all the love & support from our family & the friends who have become family! Thank you all so much. Follow us here to get the latest and greatest on our progress including an opening date for the new location! Cheers from Olde Mother!